These sharks' teeth come from the oceanic whitetip shark in the waters off Bangladesh. 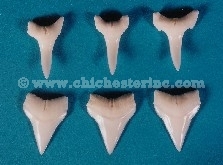 These teeth are all specimen quality and are thoroughly cleaned. 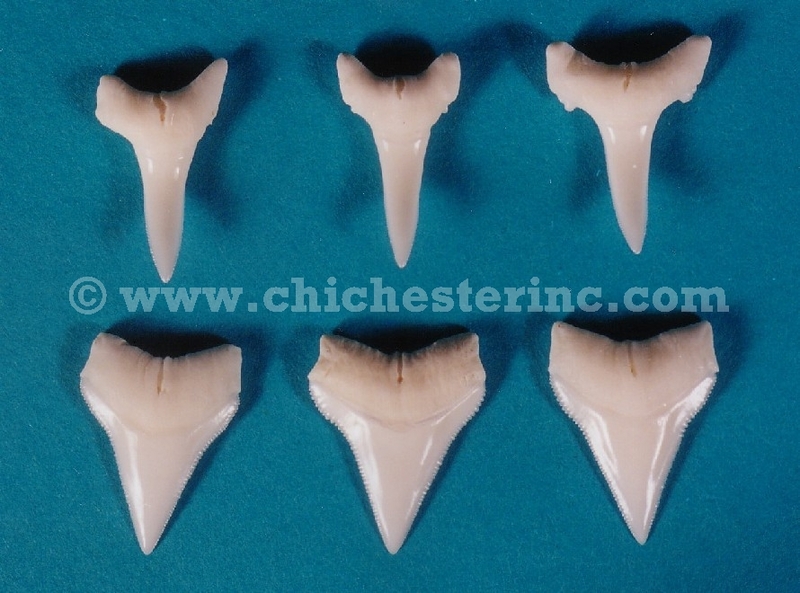 These teeth are NOT fossilized, but are from recently killed sharks and are a bright white in color. Sizes shown are lengths (top to bottom). Genus and species: Carcharhinus longimanus. Wild. Tiburon oceanico, cazon, galano in Spanish. White tip shark are subject to CITES II and are not for export out of the United States.